A dazzling cellist, a symphony that tramples on tyranny and Wagner aglow with national pride – passions ride high as the curtain goes up on our new season. What more invigorating way to open a season than with the work whose scale and ambition supersized the symphonic goalposts at its first hearing in 1804? Originally composed to salute Napoleon, Beethoven furiously scratched out his dedication for Eroica when the French General crowned himself Emperor. The piece instead acerbically enshrines “the memory of a great man”. Similarly written at a time overshadowed by European conflict, in the aftermath of World War I, Elgar described his Cello Concerto as “a man’s attitude to life”, multishaded in character, and prefaced tonight by a burst of resplendent Wagner. Conductor Michael Sanderling has headed Dresden’s venerable 145 year old Philharmonic since 2011. For the iconic Elgar they’re joined by Tim Hugh*, principal cellist with the London Symphony Orchestra and student of the eminent Jacqueline Du Pré, described by The Times as a “beautifully controlled, finely expressive” performer. *Please note: in a change to the original billing, Tim Hugh will be tonight’s soloist. Tim is a renowned musician and principal cellist with the London Symphony Orchestra who studied under Jacqueline Du Pré. The Dresden Philharmonic was founded in 1870, and brought a new spirit to the city’s public music culture with its performances at the Gewerbehaus-Saal. 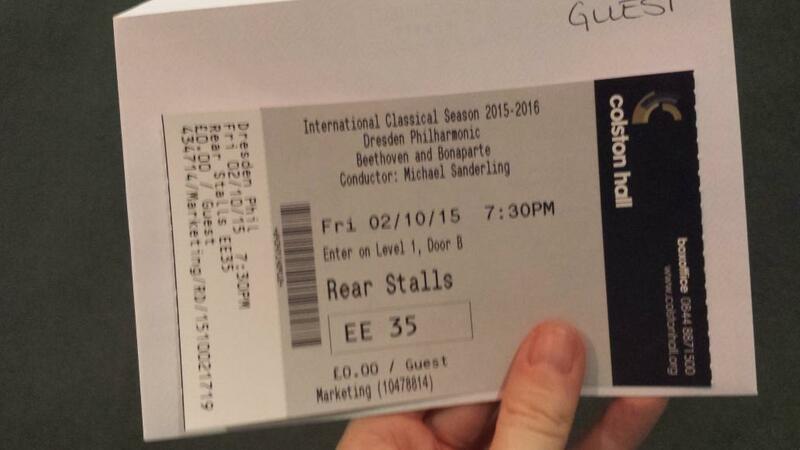 The orchestra remains dedicated to catering for a diverse audience. In addition to its classical-romantic core repertoire, the Dresden Philharmonic also performs contemporary compositions, such as commissioned works from Sofia Gubaidulina, Rodion Schtschedrin, Gija Kancheli, and Michael Nyman. Over the course of its long history the Dresden Philharmonic has been conducted by such musical giants as Johannes Brahms, Peter Tchaikovsky, Antonín Dvorák and Richard Strauss, conducting their own works. Since then the orchestra has welcomed a multitude of highly acclaimed musicians, including in more recent times, Sir Neville Marriner, André Previn, Karl-Heinz Steffens, Yuri Temirkanow, Yan Pascal Tortelier, Sebastian Weigle,Simone Young and Lothar Zagrosek among many others. In 1909 the Dresden Philharmonic became one of the first German orchestras to perform a concert tour in the United States. Since then concert tours have taken the Dresden Philharmonic to the major music centers of Europe, the Americas and Asia. Michael Sanderling, one of the most distinguished conductors of our time, has been the principal conductor of the Dresden Philharmonic since 2011. Beside this position, he is guest conductor of renowned orchestras such as the Gewandhausorchester Leipzig, the Tonhalle-Orchester Zürich, the Munich Philharmonic, the Konzerthausorchester Berlin, the Toronto Symphony Orchestra, the Tokyo Metropolitan Symphony Orchestra, the Helsinki Philharmonic Orchestra, the Tchaikovsky Symphony Orchestra of Moscow, the Czech Philharmonic, the Vancouver Symphony Orchestra and the German Radio Symphony Orchestras of WDR and SWR. Under the direction of Michael Sanderling, a recording of all the symphonies by Ludwig van Beethoven and Dmitri Shostakovich is currently being produced in collaboration with SONY Classical. As of now, the first recordings of the cycle – the Symphonies No. 3 and 6 by Beethoven and No. 6 and 10 by Shostakovich – have been released, marking a new chapter in the discography of the Dresden Philharmonic. Born in Berlin, Michael Sanderling is one of the few artists who, after an illustrious career as orchestra musician and soloist, has been able to achieve a highly successful career on the podium, establishing himself as one of the world’s most appreciated conductors. In 1987, at the age of 20, he became solo cellist of the Gewandhausorchester Leipzig under Kurt Masur and, from 1994 to 2006, he held the same position in the Berlin Radio Symphony Orchestra. As soloist, he appeared with many of the world’s most esteemed ensembles, including the Boston Symphony Orchestra, the Los Angeles Philharmonic and the Orchestre de Paris. However, it has been a long time since he last performed as a cellist. As an opera conductor, he enjoyed success with Philip Glass’ “The Fall of the House of Usher” in Potsdam, and with a new production of Sergei Prokofiev’s “War and Peace” at the Cologne Opera. He has made many CD recordings of important works by Dvořák, Schumann, Shostakovich, Prokofiev, Tchaikovsky and others, both as cellist and as conductor. One of Michael Sanderling’s passions is working with young musicians. He teaches at the University of Music and Performing Arts in Frankfurt/Main and regularly works with the Bundesjugendorchester (National Youth Orchestra of Germany), the Young Philharmonic Orchestra Jerusalem Weimar, the Junge Deutsche Philharmonie and the Schleswig-Holstein-Festivalorchester. From 2003 to 2013, he was the principal conductor of the Deutsche Streicherphilharmonie. His musical horizons encompass works by Bach and Handel, to Beethoven and Shostakovich, to world premieres, of which he has conducted many by now. Tim Hugh is recognized as one of the finest, most dynamic and abundantly innovative cellists of the new generation. After wining two medals, including the Bach Prize, at the Tchaikovsky Competition in Moscow, he has appeared with many of Europe’s leading orchestras and worked with conductors including Boulez, Haitink, Rostropovich, Menuhin, Pappano, Previn, Sir Georg Solti, Sir Colin Davis and Sir Andrew Davis. He has toured extensively and also appeared in the Aldeburgh Festival and the BBC Proms in London. After a year at Yale, studying the cello with Aldo Parisot, he gained his MA at Cambridge reading Medicine. Throughout this period he also studied with William Pleeth and Jacqueline Du Pré. In 1995 he was appointed Principal Cellist of the London Symphony Orchestra, with whom he immediately appeared as soloist with Pierre Boulez, standing in for Rostropovich. Tim Hugh’s recordings include concertos by Bliss, Boccherini, C P E Bach, Britten, Finzi, Hofmann, Holst and Walton, the last being short-listed for aGramophone Award. Other recordings include Bach’s Suites, Britten’s Suites, Beethoven’s Sonatas, Tavener’s Svyati, and with the LSO and Haitink Brahms’s Double Concerto. Elgar & Beethoven: unbelievable performance from Dresden Philharmonic with @MSanderling and Tim Hugh (cellist). Yesterday at @Colston_Hall ! 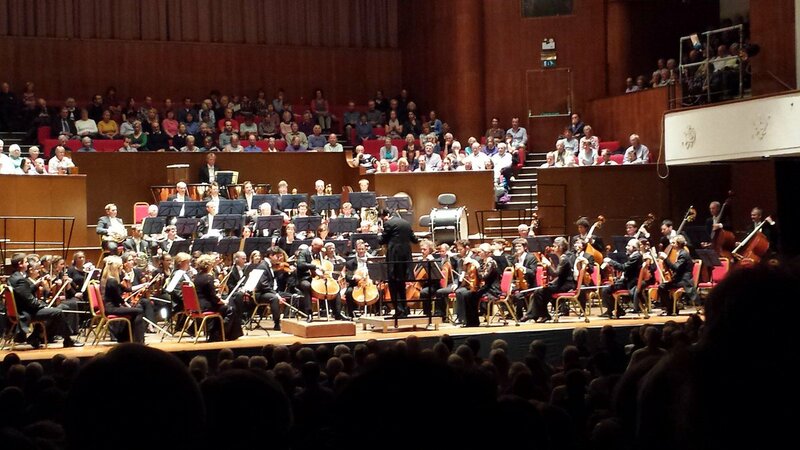 Really exciting Eroica from @MSanderling and the Dresden Philharmonic last night @Colston_Hall , what an excellent orchestra!